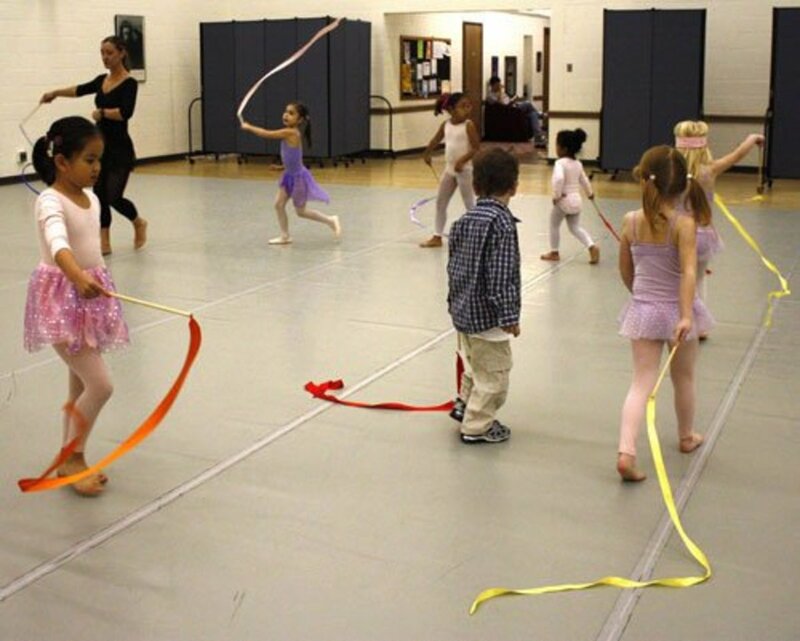 To become a dancer requires hard work and dedication. It takes many years, patience and endurance to reach a professional level. 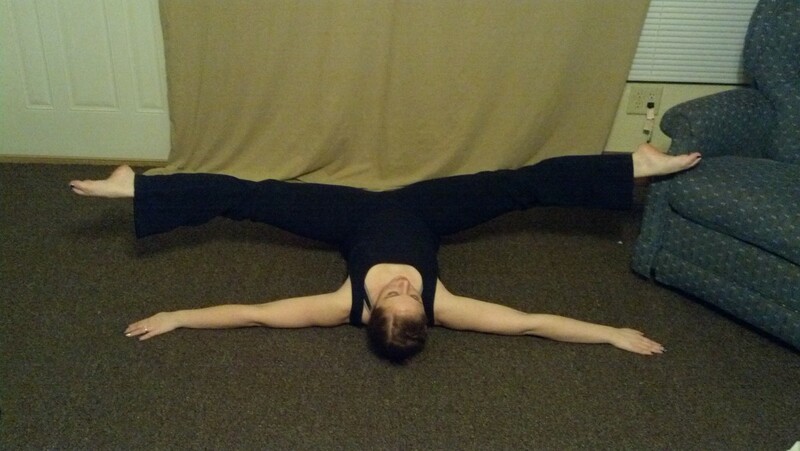 There are many factors to being a dancer, but one of the most important is flexibility. Now not everyone is a contortionist just by sheer luck of the draw. Growing up I was not even able to bend down and touch my toes. It was a requirement to be put in the competitive program to have your splits. I worked for years to achieve and maintain my flexibility. 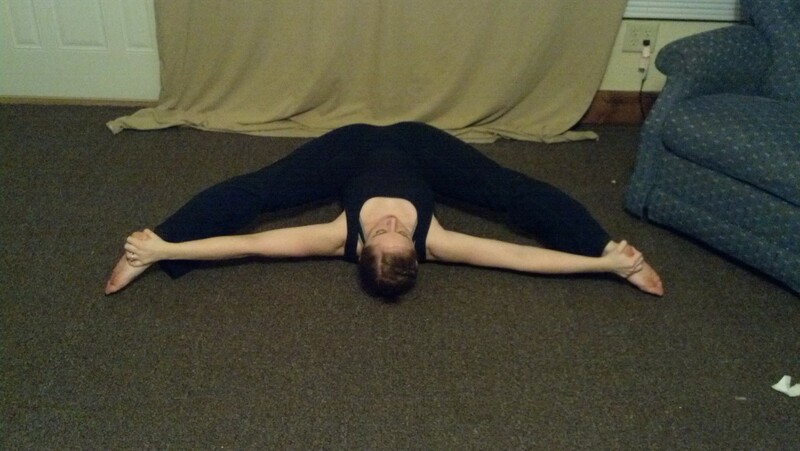 Now not only do I teach dance, but am able to still do my oversplits and stretch my leg straight up past my ear. 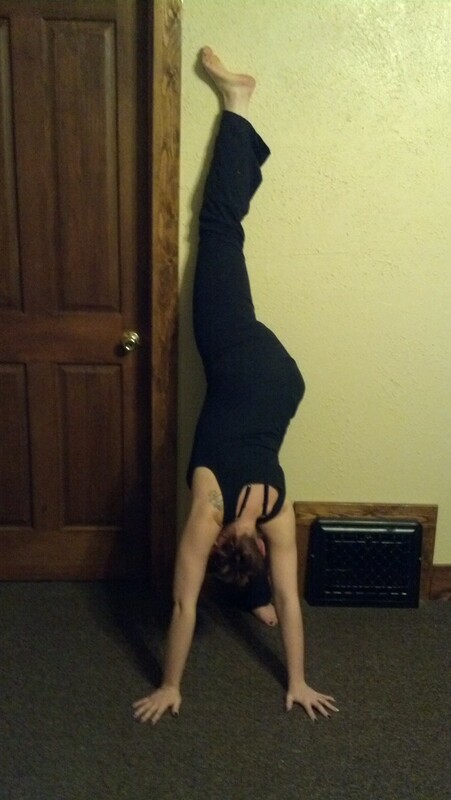 I am proof that anyone can gain flexibility with hard work and dedication. Stretching your body is absolutely necessary, but you also need to prepare your mind for this grueling change. Be proactive by setting aside 20-30 minutes a day to give yourself a full stretch. Make sure that you have adequate room to move on a flat surface without too many distractions such as children and animals. 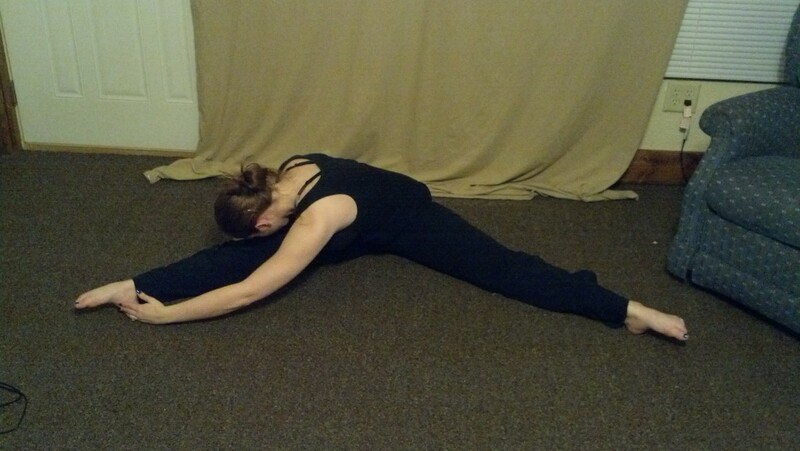 Increase the difficulty of your stretches as you become more flexible to continue to challenge yourself. For one of the most advanced stretches in this article you will need the assistance of someone that you trust not to hurt you. 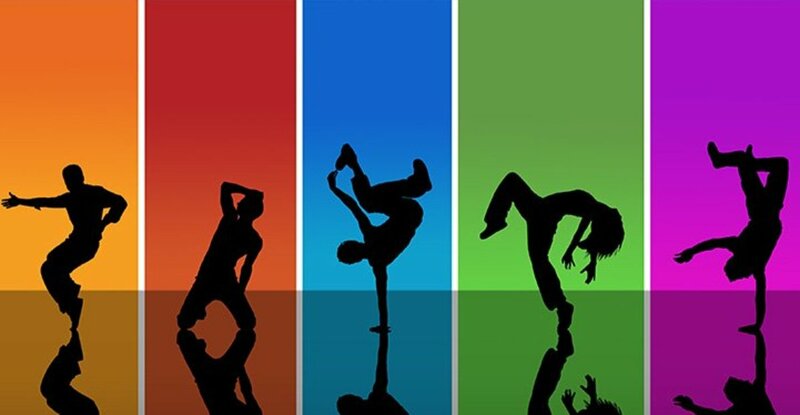 In dance, we tend to use our muscles differently than any other art or sport. 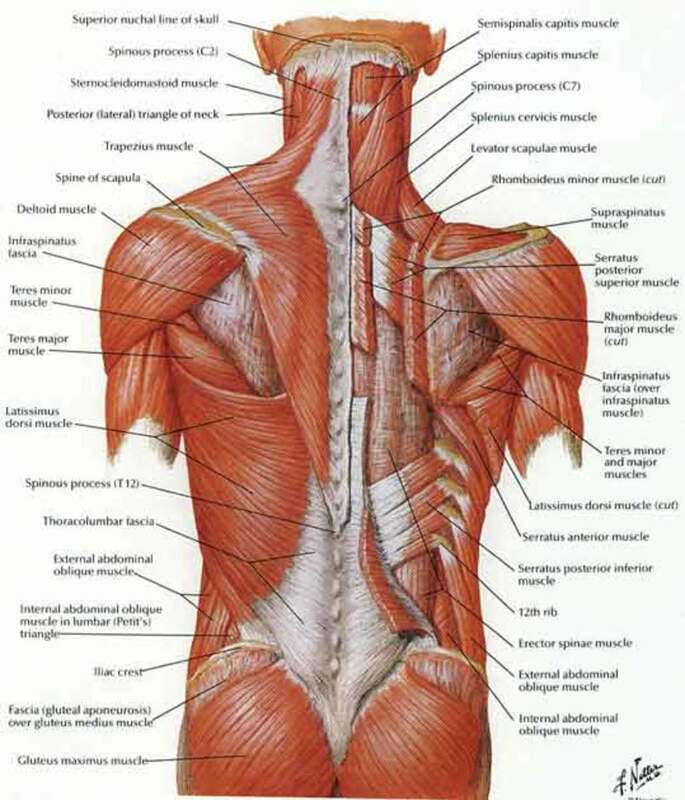 We also use muscles that are seldom used for other things. 1. Begin with your feet slightly more than shoulder width apart. 2. Reach both arms up to the ceiling palms facing out. 3. Open the arms to 2nd position as you turn your feet out and grand plie. 4. Place hands on the floor. 5. 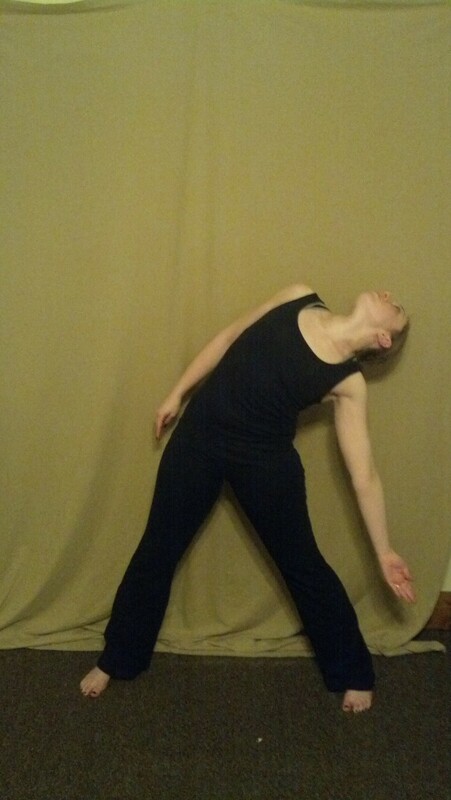 Rotate feet back to parallel and stretch legs straight while letting all tension out of the neck. 6. Hold for 8-16 counts. 7. Roll up the spine one vertebra at a time for 8 counts leaving the head to come up last. 9. 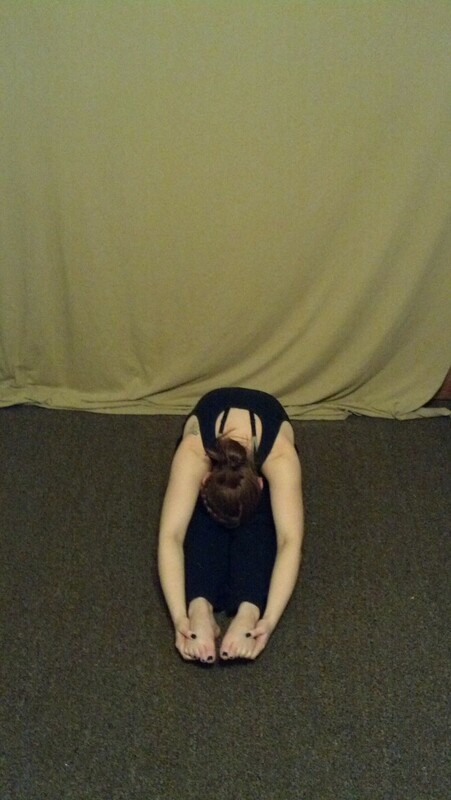 Place arms in second positions leaving feet where they are. 10. 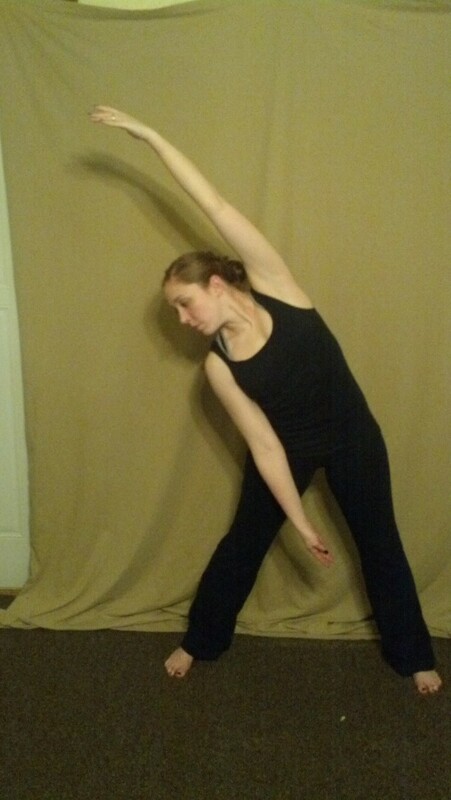 Reach one arm over leaning to the side leaving shoulders straight across. 11. Flip torso into flat back to face ground same arm remaining on top. 12. Reach all the way up to release to the back corner and stretch down over the leg. 13. Feet should still be parallel and neck should be relaxed with the face towards the leg. 14. 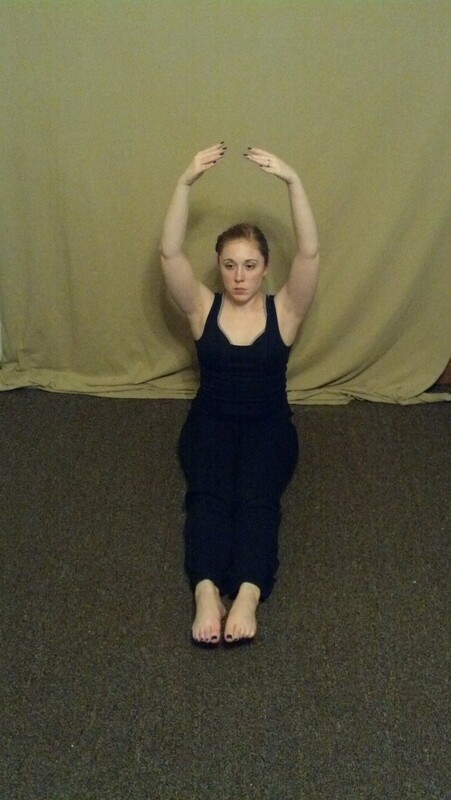 Hold for 8 counts then lift the back hand up to the ceiling. 15. Reach back down and hold before reaching out and up to repeat on other side. 1. Still in second position turn the feet out to second in a full grande plie. 2. Place hands or elbows on the inside of the knees and press the knees back. 3. Turn body 1/4 turn,rotating the feet with the body. 4. Reach straight down over front legs keeping both legs straight and the neck relaxed. 5. Lift back heel up and slide down into a runners stretch. 6. Be sure the back heel is up and the knee is straight. Keep the front heel on the floor. The knee should be directly over the ankle forming a 90 degree angle. 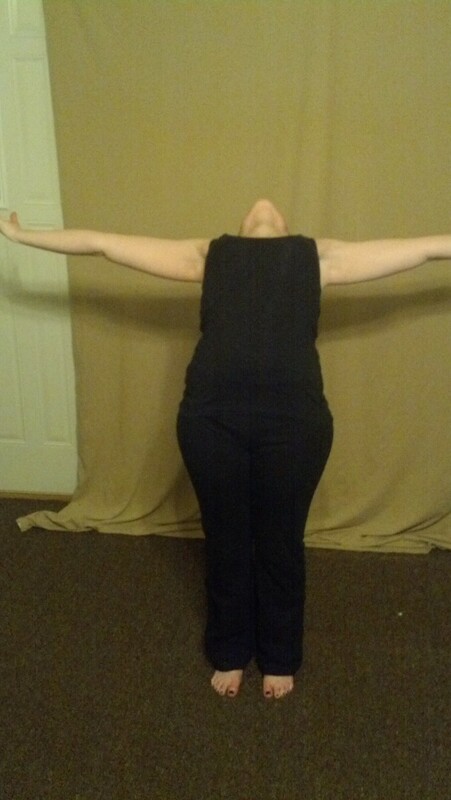 Neck should be lengthened and in line with the spine. 7. Pull back up to the original position. Do this 2-3 times holding for 8-16 counts each. 1. Once advanced enough, lift the front toes up to flex the foot when legs are straight to stretch the calf. 2. 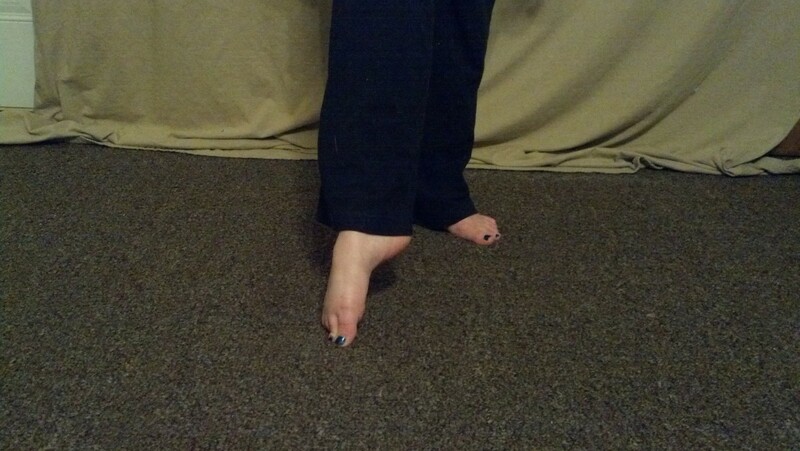 When in the runners stretch, tuck the back toe under so the top of the foot is on the floor. 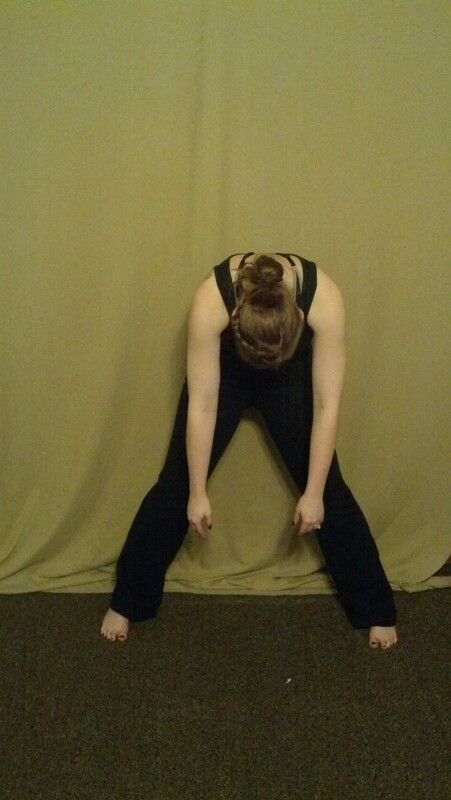 Leaving the hips where they are, lean forward with the hands on the knees to stretch the hip flexer. Reach the back hand for the foot leaving the hips where they are. Lift the back leg to your hand and pull towards your bottom to stretch the quad. Return to runners stretch, lift up and repeat to the other side. 3. While in the runners stretch rotate to face front turning feet out. Put elbow on the knee and push out with the heel on the floor. Change sides. 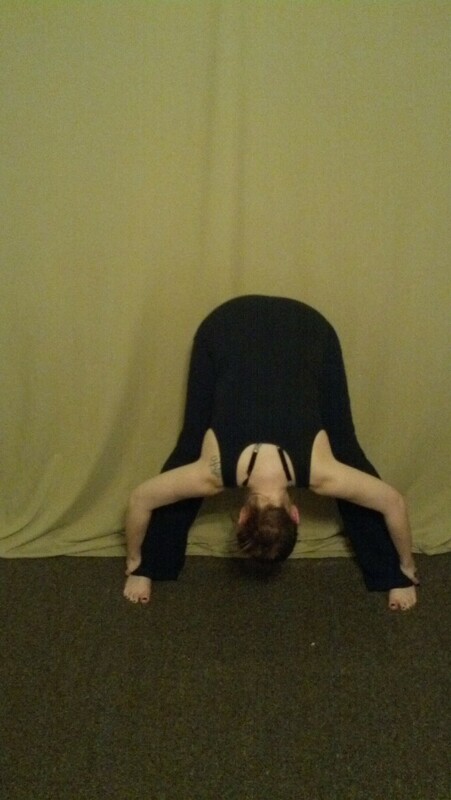 This can be used to strengthen as well by shifting back and forth between the legs with hands clasped in front. 1. 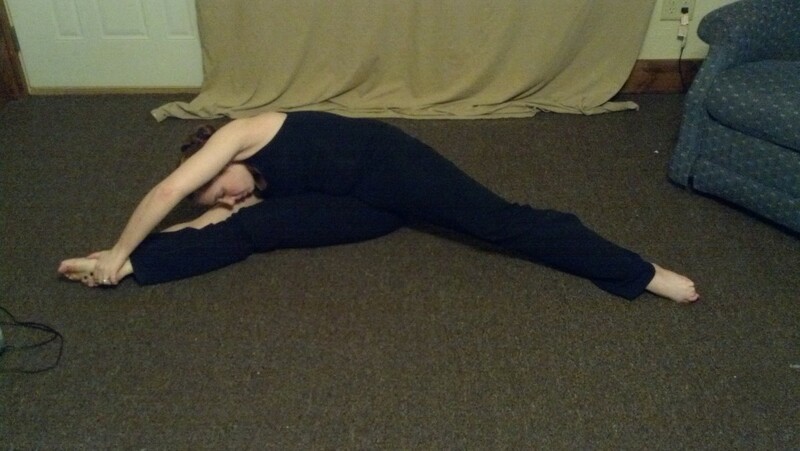 Go back to second position in parallel with hands on floor and neck relaxed. 2. Hold elbows to form a box with the arms. Swing back and forth with the upper body relaxed. 3. Reach hands to floor. 4. Walk feet together hands to floor. 5. Keep feet parallel and bend down to a squat, lifting heels as high in releve as they will go. 6. Straighten legs. Repeat 2-3 times. 7. Roll up for 8 counts through spine, leaving the head for last. After the roll up, plie bringing arms down and up to ballet 5th. Release back lifting the chest to the ceiling and opening the arms. Reverse the roll up to an inverted roll down leaving the head for last. Lift the heels and plie into a ball. 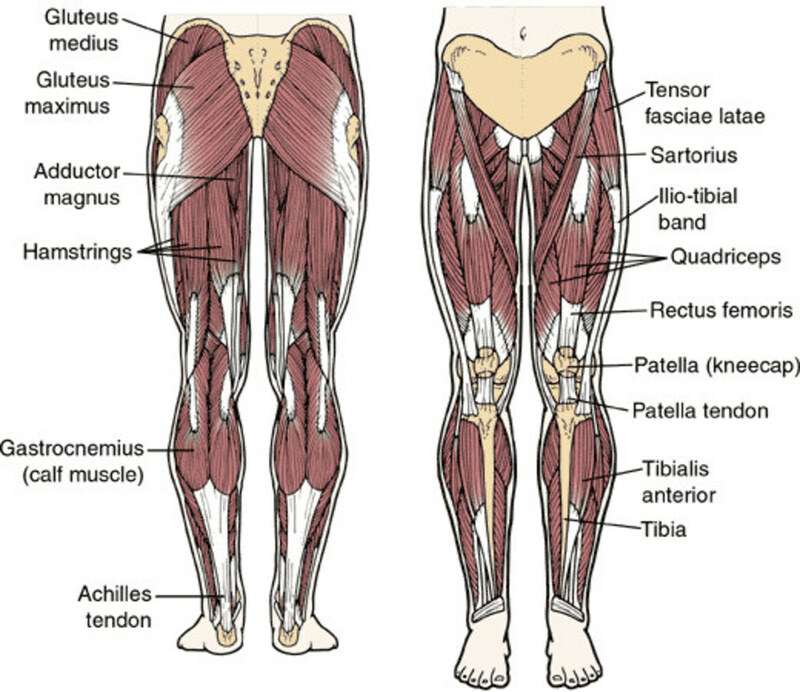 Straighten the legs. Scoop arms arms up and out. Lower arms and repeat. 2. Reach to both sides keeping the hips flat on the floor. 3. Reach slowly all the way in a half circle to the other side. 5. To get a deeper stretch as you sit forward and back up go through a flat back with the crown of the head towards the front. 6. Sitting up through back place right hand on right knee and press down. Lean slightly left to keep hips flat. 1. 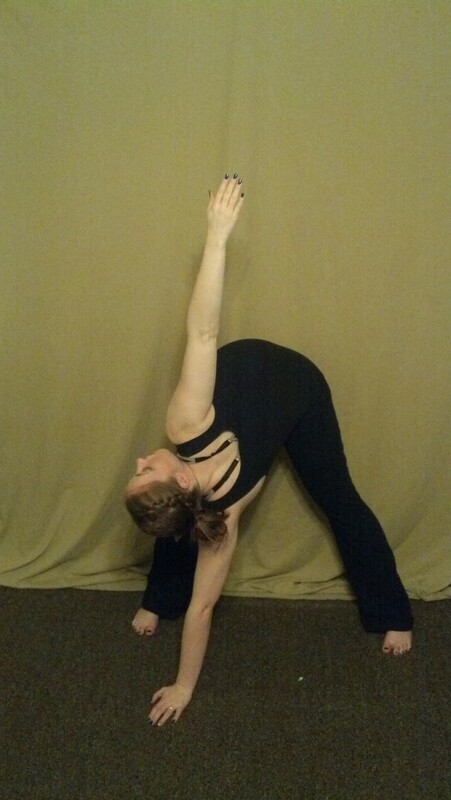 From your butterfly stretch position, use your right hand to pick up the right foot. 2. Pull leg straight up in front of the face keeping both hips flat on the floor and the leg straight. Keep your leg turned out, inside of the leg facing you. 4. 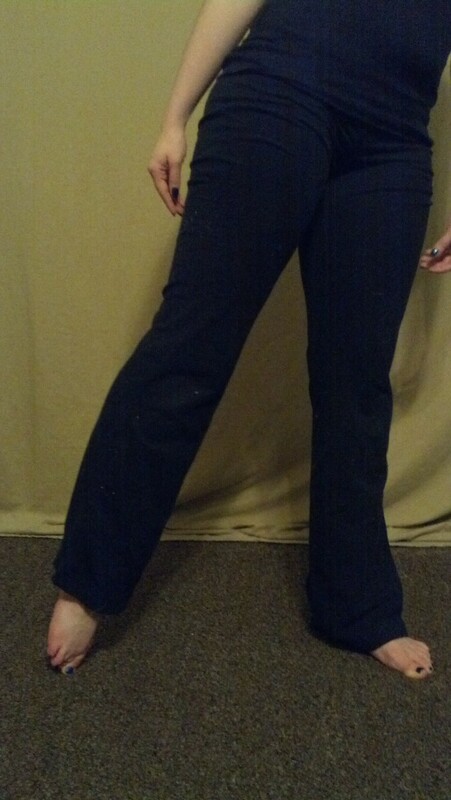 Take leg in other hand and pull it across the body, again keeping it turned out and hips flat. 5. Lay down on side and rotate leg with the body. Keep it turned out and pull towards your head. Keep your shoulders relaxed and tuck your other foot in. 6. Pull back up to original position. 1. Lay flat on back. 2. 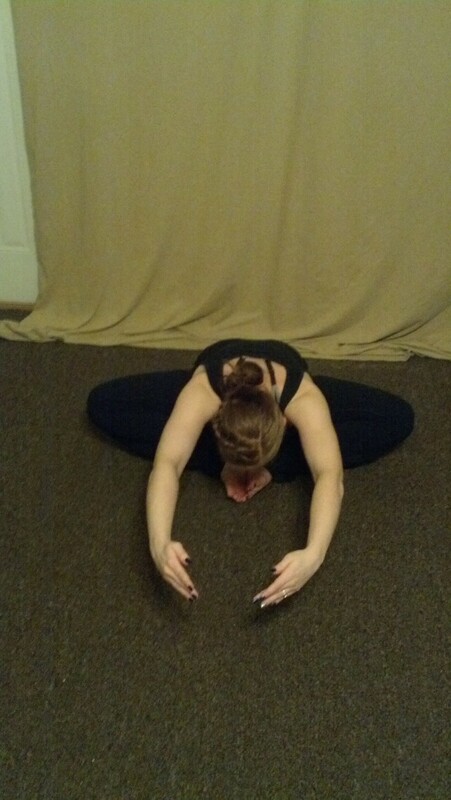 Hug one knee into chest keeping other leg on the floor straight and pointed. 4. 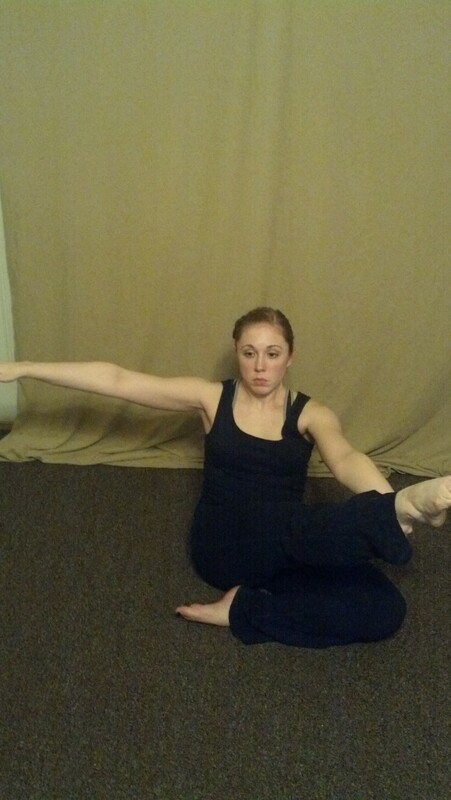 Flex and bend, then stretch and point 4 times. 5. Keep leg straight and flex foot. 6. Bring foot to passe and down to the floor. 1. 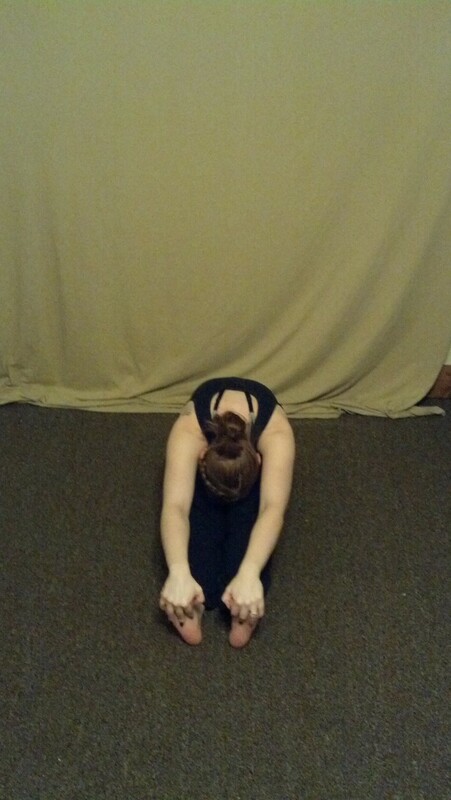 After completing the bend and stretch portion, pull the leg out to the side keeping it turned out and the opposite side of the body on the floor. 1. Pull both legs into chest to form a ball on the back. 2. Place legs in V while on back. 3. Go back to a ball. 1. 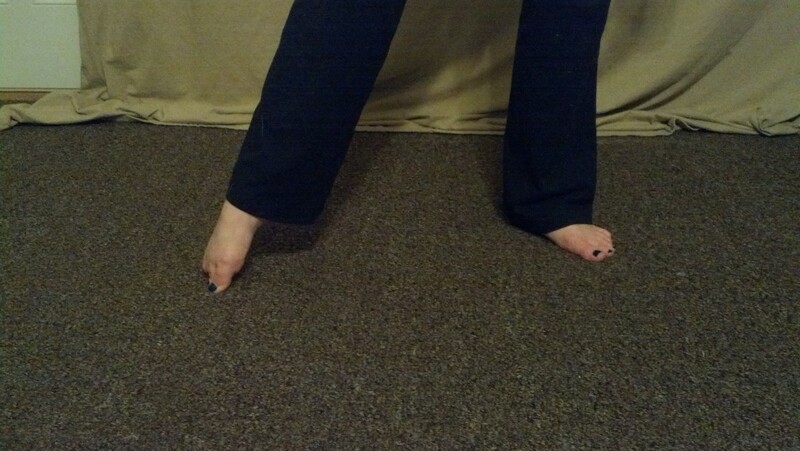 Before placing the legs in a V, grab heels and reach the toes for the floor in line with head. 2. Flex and bend while in V.
1. 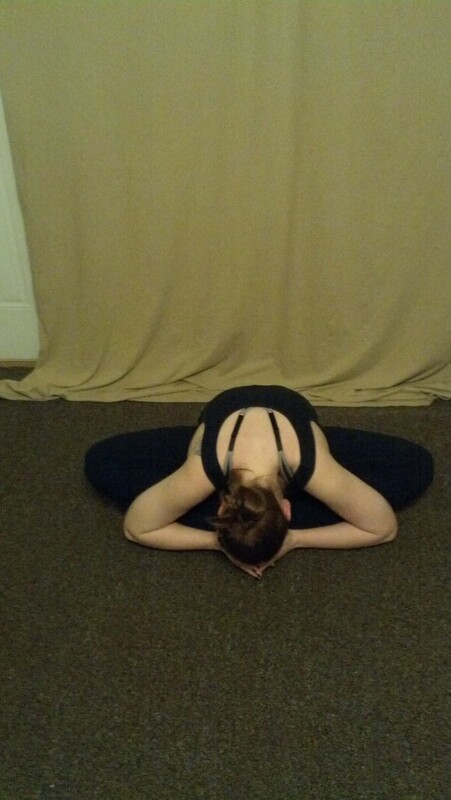 Sit in a straddle where your legs are straight and toes are pointed. Keep the baby toe towards the floor. 2. Place arms in a jazz second (T). 3. Reach arm over head to opposite leg. Keep both hips firmly flat on the floor. Keep chest flat across and arm right over head. 4. Sit up and turn towards leg, reaching forward with torso towards leg. Keep hips flat on the floor. 5. Reach arm over head as in step 3. 6. Keep torso where it is and place hand along the inside of the thigh. Twist back reaching hand back with head looking at hand. 7. Reach arm over head as in step 3. 8. Repeat to other side. 9. Reach straight down to the center letting the neck relax. 1. Can change everything to flexed feet. 2. 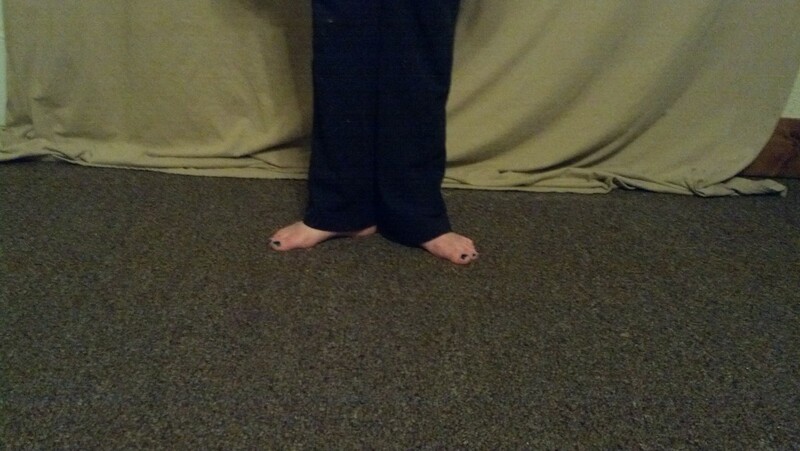 Reach to the side and walk hands along the floor to the other leg. Stretch side and sit up. 3. 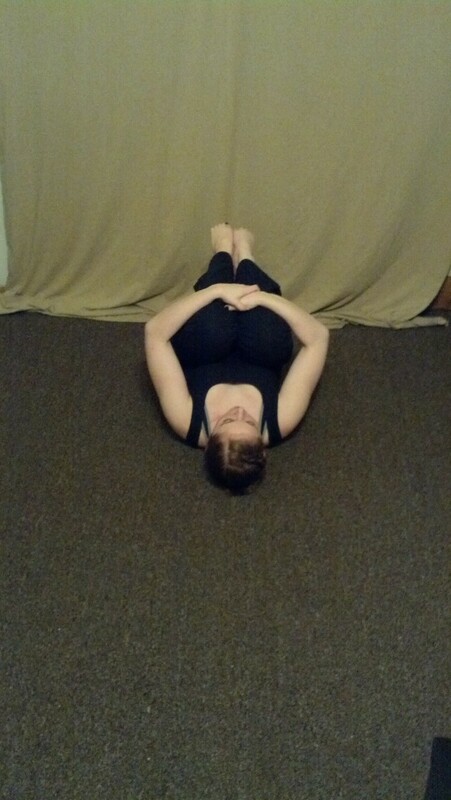 Put the arms up and flat back to the center so the belly is on the floor. 4. Reach hands straight out while down to the center. Breathe in and as you breathe out walk your fingertips slightly forward. Do this 3 times. 5. 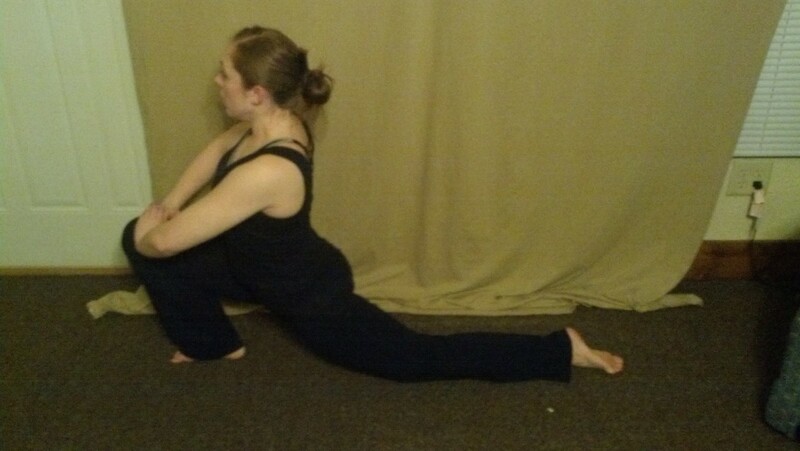 Roll up into the splits from the straddle or where you ended on step 4. 6. Have someone you trust help you for this addition. 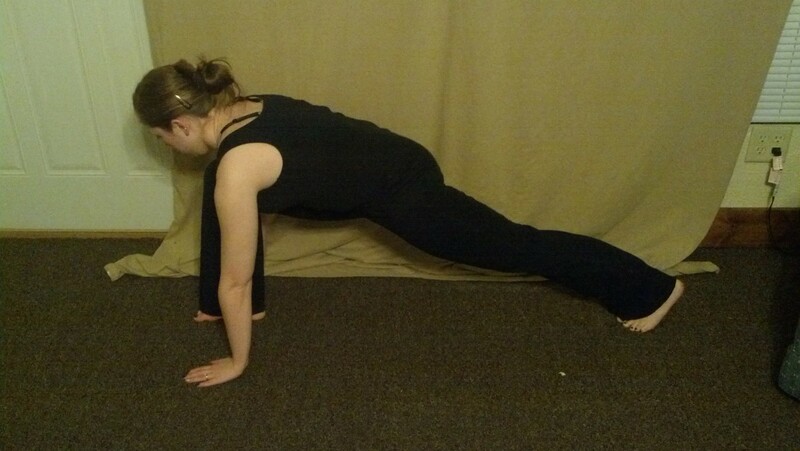 Have your helper press your opposite hip into the floor as you reach side and have them gently pull the arm overhead. 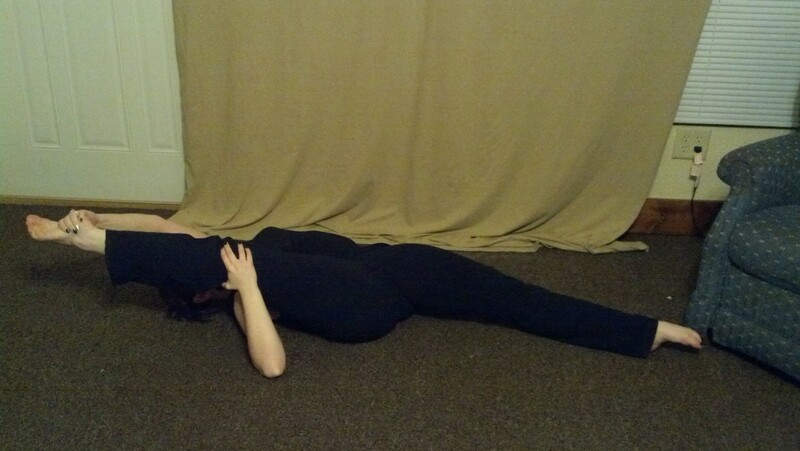 While down to the middle have your helper gently press your low back into the floor. 1. Sit with legs straight out and knees flat. 2. Reach forward towards feet keeping legs straight. 3. Flex feet and reach for toes. 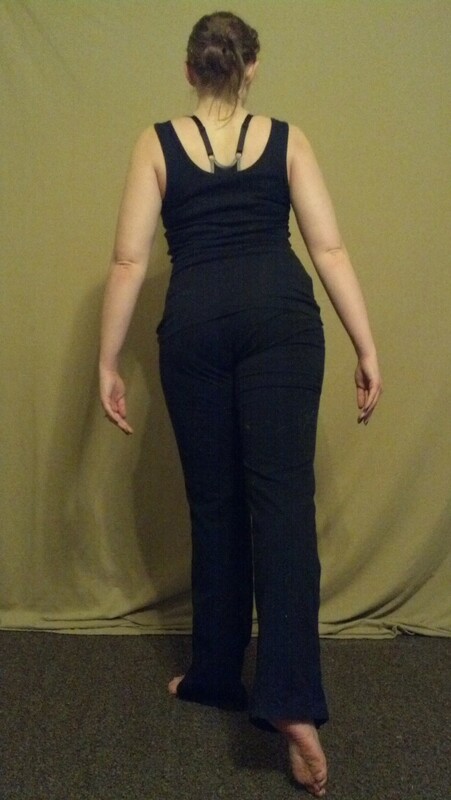 On the side, make sure that the hip is tucked under rather than lifted. Also keep the supporting hip over the supporting ankle. To the back press the back of the knee towards the ceiling. 2. 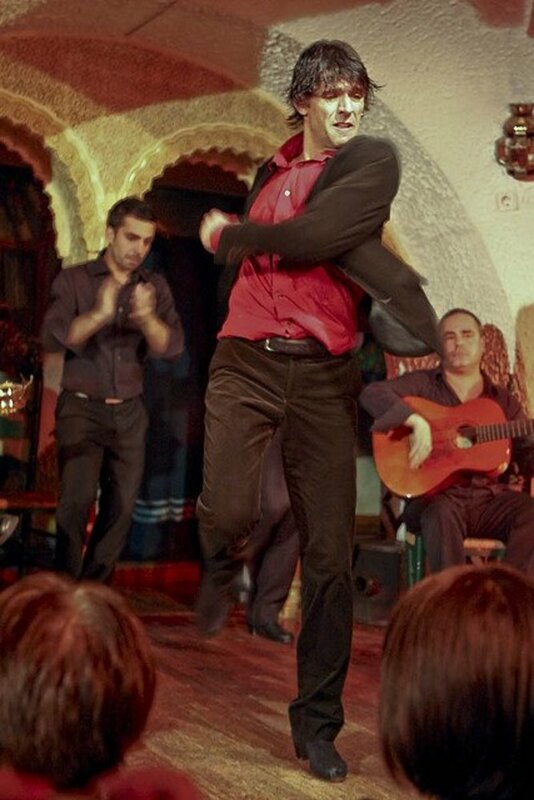 Tendu one leg devant (front) and begin to lift it. 3. Have your partner grab it and begin pushing it upwards towards your face. 4. Let them know when to stop. They will hold it there for a few seconds. 6. Repeat a la seconde (side) and derriere (back). 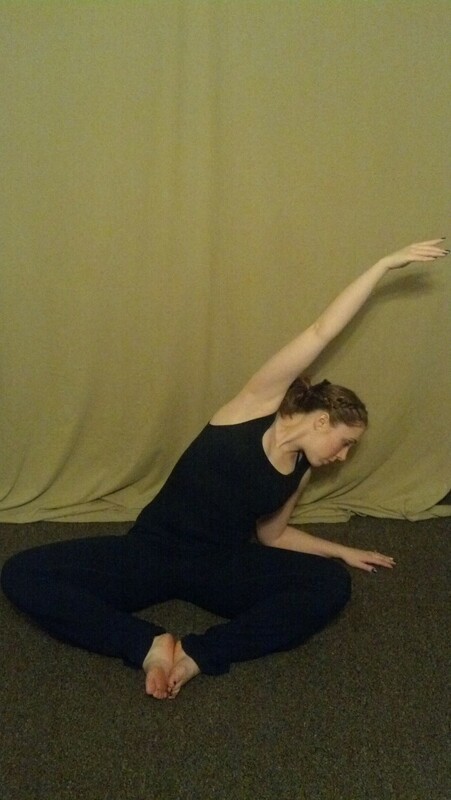 Do you believe stretching is crucial for a dancer's success?